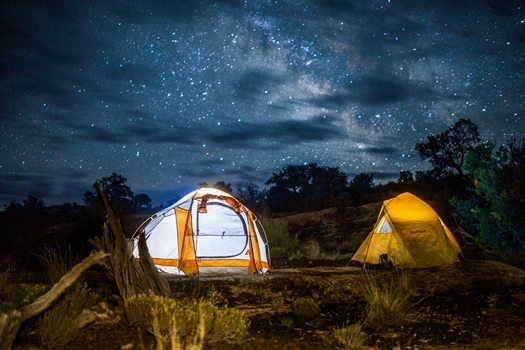 San Juan County, UT is proud to be home to FOUR International Dark Sky Parks! 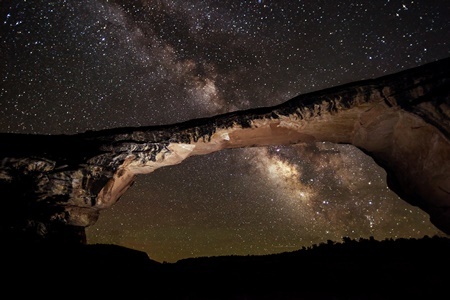 (Canyonlands National Park, Dead Horse Point State Park, Hovenweep National Monument, and Natural Bridges National Monument) What better place to celebrate International Dark Sky Week than right here in Utah’s Canyon Country?! 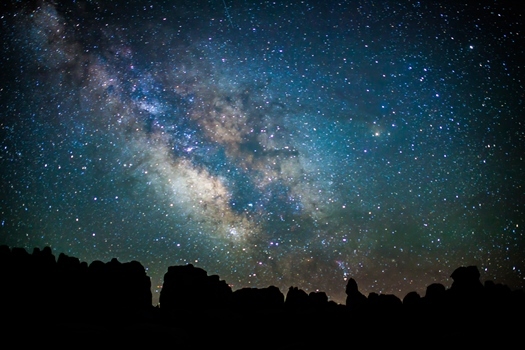 San Juan County offers some of the darkest night skies in the contiguous 48 states. It’s possible to see over 15,000 stars throughout the night, whereas in many urban areas it’s only possible to see around 500. Living here, I think we sometimes forget how lucky we are to live in a place where the Milky Way is visible to the naked eye from our backyards- that’s definitely not the case everywhere! 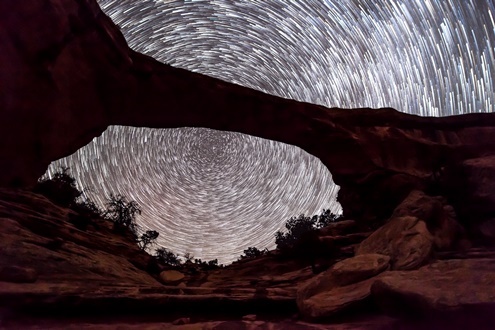 In 2007 Natural Bridges National Monument was designated the world’s first International Dark Sky Park and is well known by night sky enthusiasts for its almost perfect lack of light pollution. 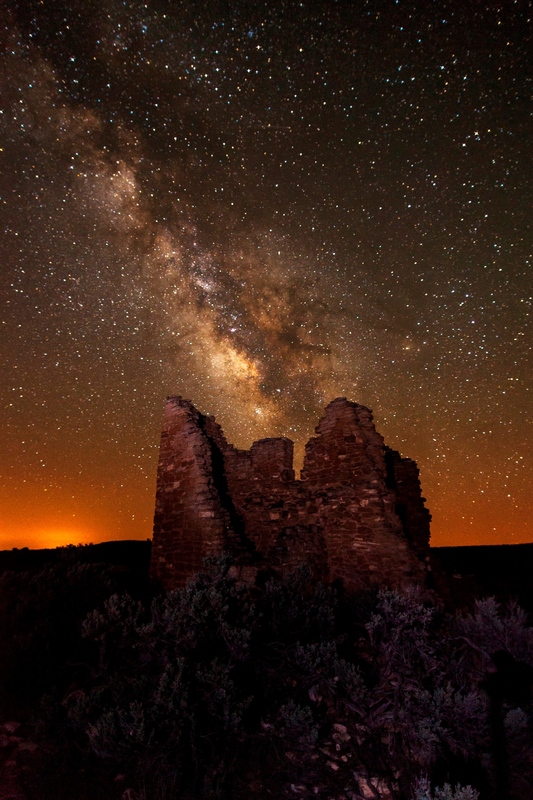 Since its designation, three other San Juan County Parks & Monuments have also been named as International Dark Sky Parks; Hovenweep National Monument in 2014, Canyonlands National Park in 2015, and most recently, Dead Horse Point State Park in 2016. Canyonlands, Hovenweep, & Natural Bridges all hold regularly scheduled ranger-led Night Sky Astronomy Programs throughout the summer. Please check each park’s website for more information on dates & times. While International Dark Sky Week ends this Friday, our dark skies are here year-round! Whenever you happen to visit our area, be sure to take the time to step outside and look up at our gorgeous night sky- it just might be the highlight of your trip! This entry was posted in Canyonlands, Canyonlands National Park, Evening Programs, National Monuments, National Parks, National Parks & Monuments, Things to do for FREE!, Things to do with kids, Travel, Utah and tagged Canyonlands National Park, Evening Programs, National Monuments, National Parks, Things to do for FREE!, Things to do with kids, Travel, Utah. Bookmark the permalink.